Derrick Robie won’t be facing robbery charges even though a man identified him as the person who held a knife to his stomach and demanded his iPhone in Boystown last Friday, police said. The victim, a 22-year-old college student from Tampa, refused to press robbery charges because he will not return to Chicago for court. 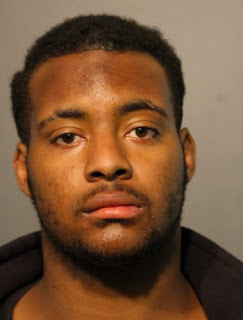 Police said they stopped Robie in the 3200 block of North Halsted around 4:45 a.m. Friday because the victim identified Robie as one of three offenders who’d just held him up nearby. Robie shoved the victim into a wall and pressed a knife to his stomach saying, “Gimme the phone, you know what this is,” police said. Cops said they recovered a knife from Robie that the victim identified as the weapon used in the hold-up. But Robie did not walk away unscathed. The City of Chicago is pursuing a misdemeanor charge of sale or possession of a deadly weapon against him. He quickly bailed out for 10% of $120. Which was convenient because he only had $11.73 in his possession at the time of his arrest, according to police.